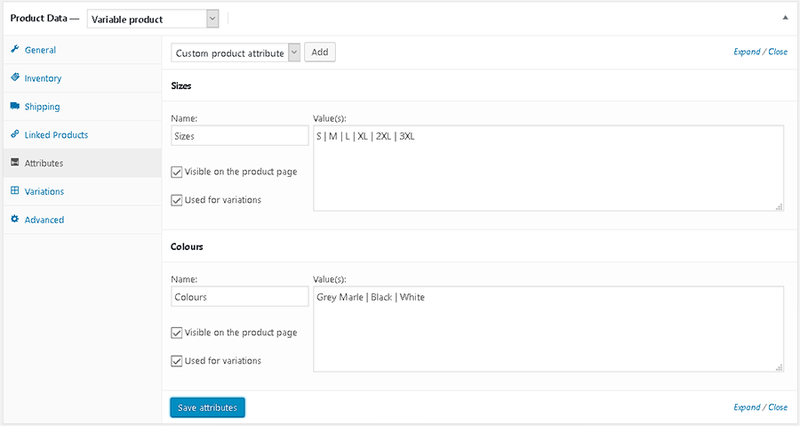 This is the preferred method for adding custom attributes to your Woocommerce store. Where to Add the Attributes? Woocommerce is a bit confusing having two methods. But they do! This is what WE DO NOT recommend. Using These Attributes. Please Note: If you are already set up you can still use these products to enable for Dropshipping. But if you have issues, it maybe easier to start with a new product using the following method. The method we prefer is adding attributes inside each product. We'll show you how now! 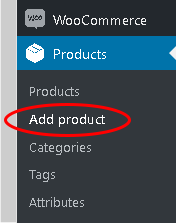 Please Note: You will only need to do this once for the first product, then use the Woocommerce Copy function to duplicate multiple products. You need to change the bits that are different. But, it's much quicker that way. 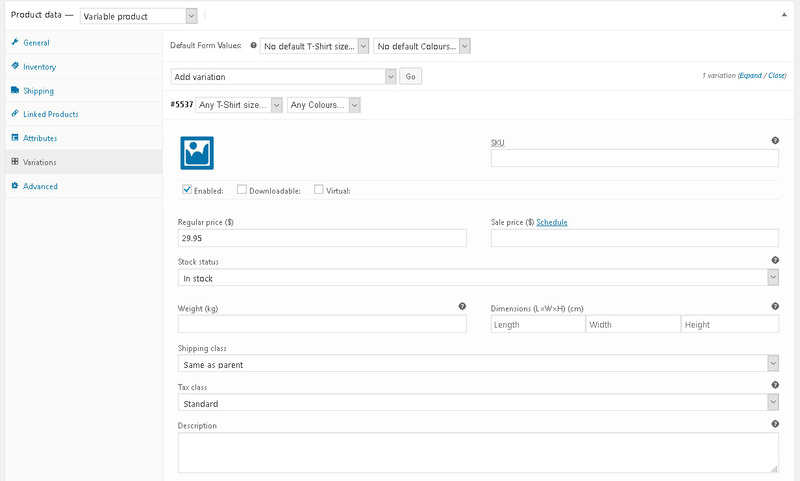 Add a new Product to Woocommerce this is what it should look like in the product data setting. Change the product type to a "Variable product"
This is what it should look like when you done.. There are extra fields for each variable by clicking on the "Variations" Tab. This is where you add the price for each product variations. Finish off the rest of your product in Woocommerce. Please Note: This field only works with 2 attribute names. One name for "Colours" and another name for "Sizes". They must be used on every product you want us to drop ship.